A black bear captured last week in Glendale might have found a home in San Diego. 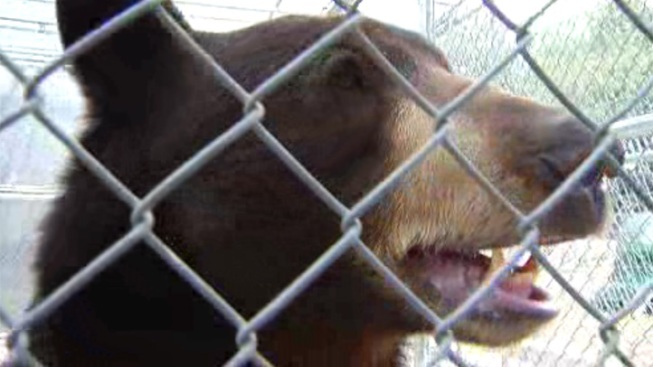 The black bear, affectionately named Meatball, was brought to the Lions, Tigers and Bears animal sanctuary in Alpine. Meatball was initially going to live in Colorado after his stay in San Diego, but because of a recent change in laws by the Colorado Division of Wildlife he might be a SoCal bear. “We are just waiting on Colorado to see whether or not he will be staying,” said Jennifer Jenkins from the LTB sanctuary. The new law in Colorado prohibits wild-bred animals from entering exotic animal sanctuaries. Since Meatball is technically a wild bear, he might not be allowed to live in the Mile High state. Officials are working to see if there’s an exception for Meatball. If Meatball stays, the animal sanctuary said they will begin fundraising for an individual bear habitat.